In November, a team of WMG students led by Professor Jay Bal, attended The 2017 International Competition on InnovAtion (iCAN) at Peking University in Beijing. The WMG team ran a stall to promote their innovative marketplace, and presented to a panel of international judges. They won the popular vote prize as well as a 3rd place prize from the judges. 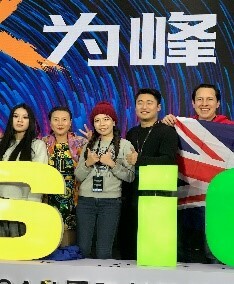 This huge event held over three days welcomed 600 Chinese teams and 40 International teams from industry and academia. iCAN aims to promote the innovative spirit and entrepreneurship of the younger generation worldwide helping to create a platform of collaboration to create applications in areas including internet of things, intelligent manufacturing and Industry 4.0. More information on iCAN can be found here.